If making the homemade salsa, combine all salsa ingredients in a medium bowl and refrigerate until serving. 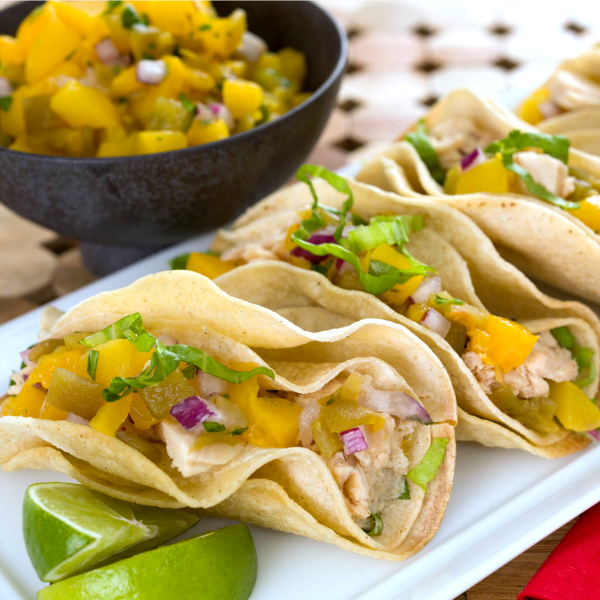 Fill tortillas with flaked tuna and top with the shredded cabbage, cheese and salsa of your choice. Recipe and photo from Cans Get You Cooking - Find their easy-to-follow video here.